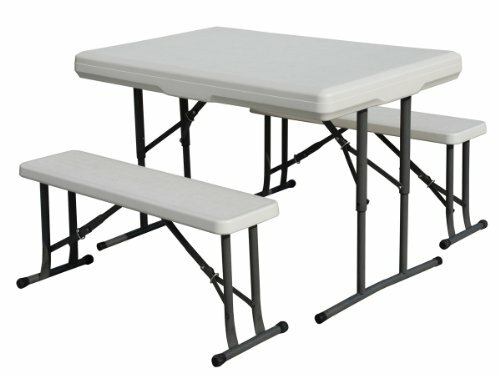 Our Heavy Duty Picnic Table and Bench Set easily accommodates 4 adults. Made of high-density polyethylene, table and bench seats include quality steel telescopic legs. Sets up in seconds, the benches fold and fully nest inside the table's interior. This unit is versatile and totally mobile. Great for camping, tailgating or anywhere extra seating is needed.